DP245 Dominion Bridge, Humbucker guitar pickup from DiMarzio in the High Power series. DiMarzio has released the new Mark Morton signature Dominion Neck and Dominion Bridge humbuckers. The pickups were developed over two years of testing and touring with Lamb of God, the company says. 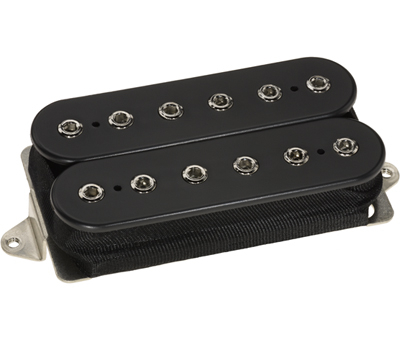 The Dominion Neck pickup was designed to produce a well-balanced, clean sound, the company says. DiMarzio says the Dominion Neck model is a little hotter than a typical vintage humbucker, and it has more edge and speed, to keep up with the Dominion Bridge model. The Dominion Bridge was designed to accommodate Morton's preference for a thick sound in the bridge position, but without muddy lows and with a fast response to pick attack, according to DiMarzio. 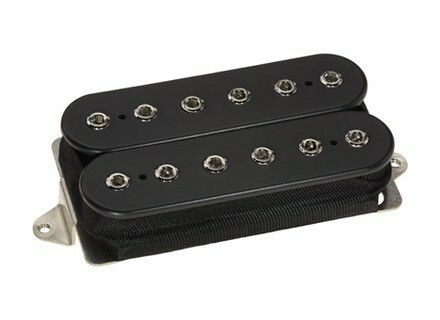 DiMarzio say they accomplished this with a combination of coils wound for a warm tone and a ceramic magnet for speed. [NAMM] Fender Kurt Cobain Mustang The Kurt Cobain Mustang pays tribute to a model that the Nirvana star favoured throughout his career.